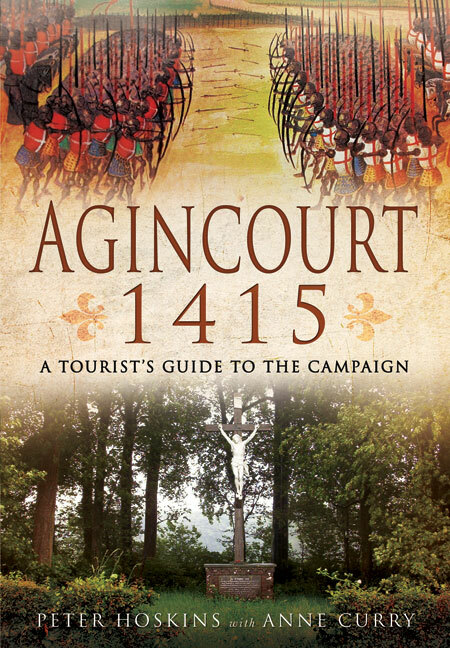 You'll be £14.99 closer to your next £10.00 credit when you purchase Agincourt 1415. What's this? Henry V's English army triumphed over the French at Agincourt in northern France on 25 October 1415 in one of the defining battles of the Hundred Years War. Six hundred years later this famous event still excites passionate interest and provokes controversy, yet there are no up-to-date guides to the 1415 campaign, the battle itself and the aftermath. That is why the publication of this practical and authoritative guidebook by Peter Hoskins and Anne Curry is so timely. As well as writing a graphic narrative of the entire campaign, based on the most recent scholarship and research, they take the motorist, cyclist and walker along the route of Henry's army. The itinerary is divided into five tours which culminate in a vivid reconstruction of the Agincourt battle and a detailed guide to the battlefield. Important buildings and sites along the way are described, there are sketch maps showing the route of the English army, and town plans overlaid with details of the medieval defences and monuments. The book is a mine of fascinating historical information. It will be an essential travelling companion for readers who are interested in medieval history and warfare, the Hundred Years War and the extraordinary career of Henry V.
(An) invaluable guide to the campaign. A practical and authoritative guidebook. This is a book you cannot be without. Well written and crucially, it covers the entire campaign, not just the bloody events of St Crispin's Day. The combination of maps, narrative and stand notes are all of a high standard but possibly the most useful sections of the book cover the wider campaign, an overview of the Hundred Years War [with] plenty of additional information. All of this gives the battlefield tourist the vital context required to fully understand any battle, especially one-day battles such as Agincourt.